If you read my blog often, then you will know I visited Venice for my birthday 2 months ago. It was my first holiday away with my boyfriend Charlie and we had a fantastic time. It was wonderfully romantic. You can find a foodie related post on our trip here and a look book post here. We did the touristy thing and visited as much as we could in the short space of time that we were there. We managed to get everything done that we prioritised which meant some very sore feet at the end of each day. I recommend booking a hotel with a bath as you need it after a long day wondering around! 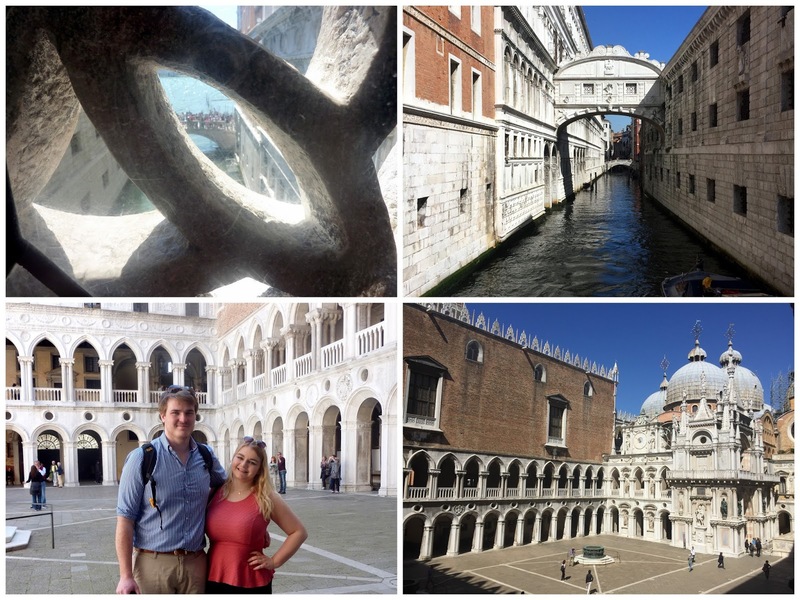 Here are my top five favourite things we did whilst we were in Venice. 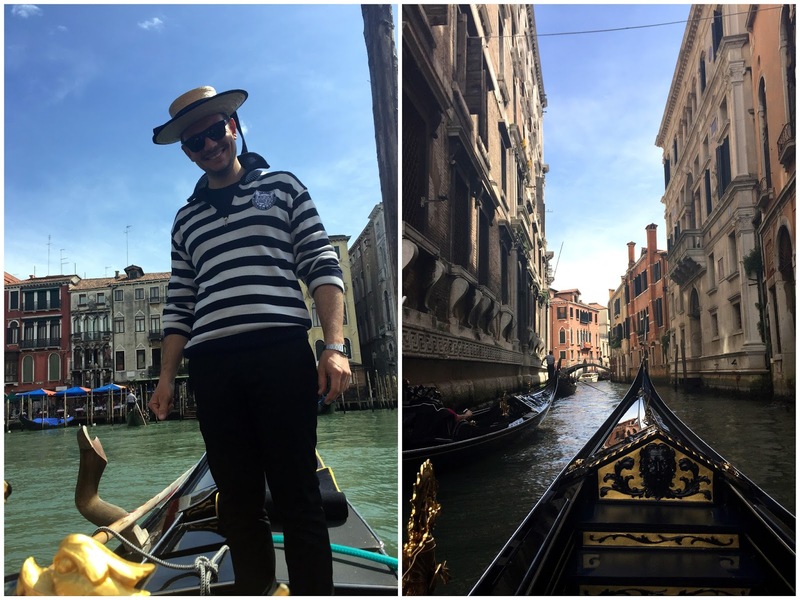 My most favourite activity in Venice was most definitely going on a Gondola ride along The Grand Canal. It's quite pricey at 80 euros for a 40 minute ride but it's worth it. Especially if you plan on only visiting Venice the once in your life time. Our sailor was great too as he was pointing out different places along the canal and was very knowledgeable about any questions I had. I found out that Venice has 117 small islands, 150 channels and 409 bridges. The Doge Palace was the residence of the Doge of Venice, the supreme authority of the former Republic of Venice, opening as a museum in 1923. 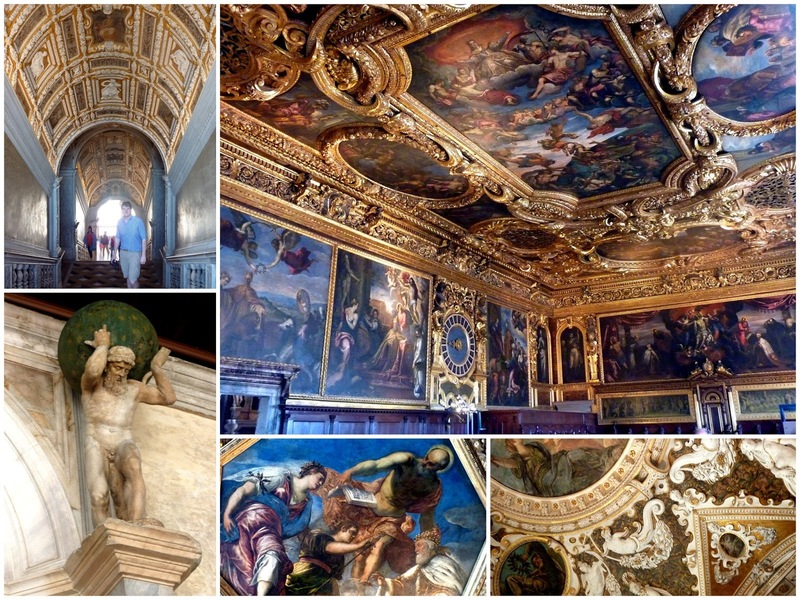 Inside the palace is very grand with beautiful paintings surrounded in gold leaf, rich tapestry's and sculptures of gods. The Doge Palace is also home to the famous Bridge of Sighs. A corridor leads over the Bridge of Sighs, built in 1614 to link the Doge's Palace to the New Prisons. The famous name of the bridge dates from the Romantic Period and was supposed to refer to the sighs of prisoners who, passing from the courtroom to the cell in which they would serve their sentence. The prisons are very eerie, dark and cold - I can imagine they were horrible back in the day when they were in use. Saint Mark's Basilica is a must if you ever visit Venice. I visited on the Sunday of our trip so we were unable to explore the Basilica properly due to there being a service on (though I'm not sure the Basilica itself is open to the public, if you know please let me know in the comments). Also you're not allowed to take photos inside so it's a very much a live in the moment experience which I loved. As there was a service on whilst we were walking through the heavens of the Basilica, I got to experience listening to the Italian hymns which was truly beautiful and something I will never forget. The Rialto Bridge, or the Ponte di Rialto is one of four bridges spanning the Grand Canal in Venice, Italy.. It is the oldest bridge across the canal which was built in 1591. The bridge is home to lots of little touristy shops and is the main crossing point over the Grand Canal so as you can imagine, it is very, VERY busy. Whilst we were visiting restoration works were being done on the bridge which is why you can see a big billboard slapped on it - not very appealing but hey ho, it's still a must to see! Saint Mark's Campanile is another must see if you ever visit Venice. It is the bell tower of St Mark's Basilica in Venice, located in the Piazza San Marco. It houses 5 bells which are magical when they ring. The top of the tower is capped by a pyramidal spire, at the top of which sits a golden weather-vane in the form of archangel Gabriel. The tower is 323 ft tall with a lift service operating taking tourists up and down which creates long queues as you can only fit around 8 people in the lift each time. Plus there is not much space up at the top. Once you have reached your turn the wait is most definitely worth it as the views from the Campanile are phenomenal. 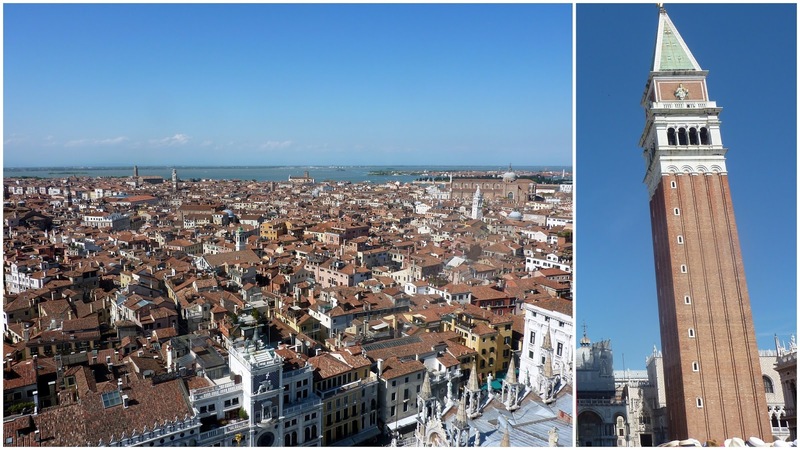 You can see across Venice from several different angles. I hope you enjoyed my five favourites in Venice. I would highly recommend a visit as it is very beautiful and full of history to explore. Have you ever visited? What were your favourite things to do whilst you were there? Let me know in the comments below. Your photos are amazing!! I've never been to Venice but I'd love to go. Gondola rides look so lovely. Thank you Faye, Venice is a very photogenic place! Definitely recommend a gondala ride if you ever visit as it's very special. Snoozing, Snoring and Sleeping. Help & Advice.